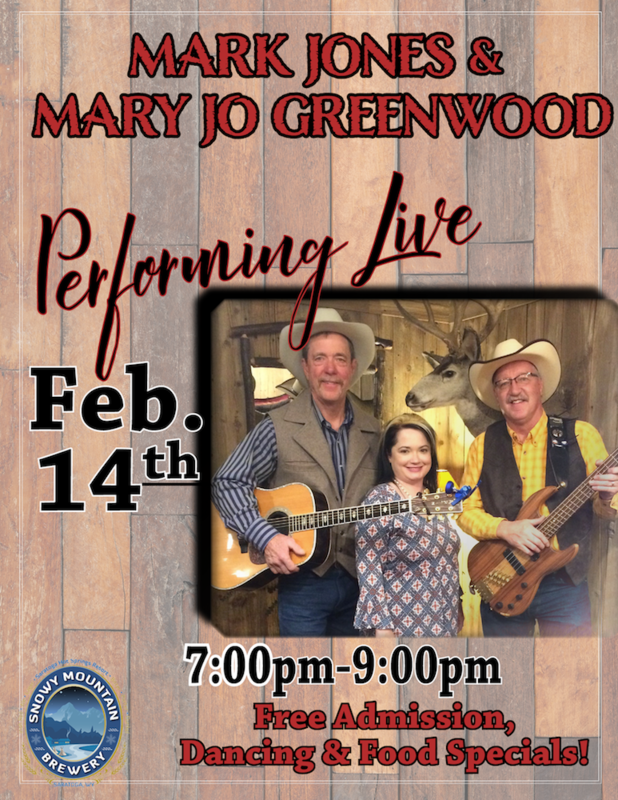 Known as a local favorite, Mark Jones and Mary Jo Greenwood will be returning once again to perform live at Saratoga Hot Springs Resort! Bring your special someone to come celebrate Valentine’s Day with us! Free admission with food specials all night!